Have you been rocking your husbands or boyfriends oversize cotton t-shirt during your workout? If you are like most folks, when you start a fitness routine, you wear whatever workout clothes you have in the closet. 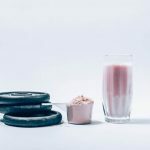 As you settle into your routine, you eventually find that the big old baggy T-shirt may not be ideal CrossFit workout gear. 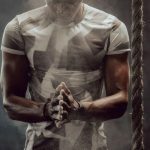 What are the Best CrossFit Shirt Brands? 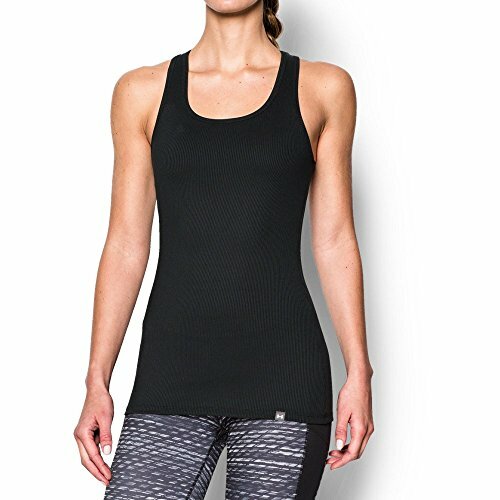 What is the Best Material for a CrossFit Tank Top? 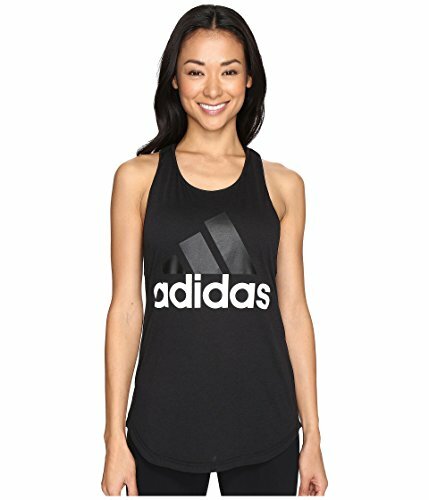 What is the Best Style for a Women’s CrossFit Tank Top? 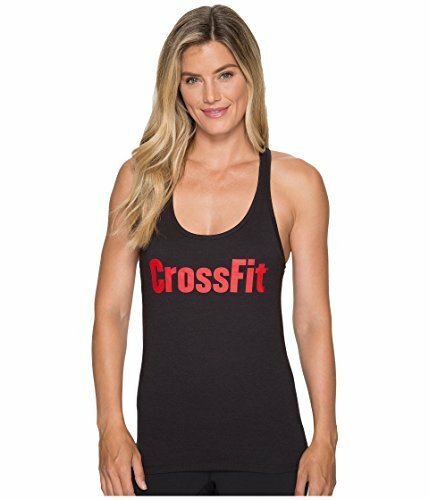 Is it Cool to Wear a Sports Bra as a CrossFit Top? Maybe they get too wet from sweat. Maybe the pants roll down and need adjusting, or the top exposes your tummy during pull-ups. Maybe you find yourself constantly adjusting your clothes. If you are doing handstand pushups and finding out the hard way what happens when your shirt meets gravity, it may be time to find a good CrossFit shirt. 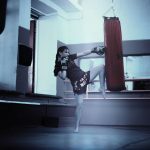 This article will cover CrossFit shirts for women, and what to look for in terms of style, fit, material and more. 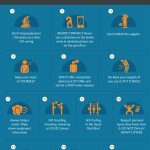 We will round that out with a review of 15 of our favorite CrossFit shirts for women, to give you some CrossFit wardrobe ideas. Be long enough to cover your waistband while your arms are raised. Not reveal anything you want covered. Stay in place without constant adjusting. Fit snugly so it won’t snag equipment or show your tummy during planks etc. OK, ladies, this may apply to you, so hear me out. If you have any loose skin, from having babies, losing weight, or being overweight, or you have large breasts, you may want to consider compression tanks. You are doing a set or 20 box jumps but need to adjust your pants several times during the set because the loose skin on your belly causes them to slide. I know this happens to me, and it is annoying. Compression material holds the skin in place, reducing unwanted bounce, jiggle and slide. Compression material helps tremendously with reducing jiggle and bounce. Honestly, I LOVE cotton because it is a natural fabric, but it is HORRIBLE for CrossFit. Because it hangs on to sweat and holds it next to your skin. If anything is going to make you sweat buckets, it’s a WoD performed at full intensity. Cotton also tends to show the world your sweat. And that is not the look you are after, right? 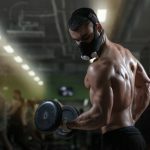 Sorry gals, I need to advise against pure cotton for CrossFit. Synthetics without a dry technology can feel HOT. As you sweat, you will feel the fabric stick to you, and since it is synthetic, it has nowhere to go. At least cotton can soak up the sweat, not so with ordinary synthetics. 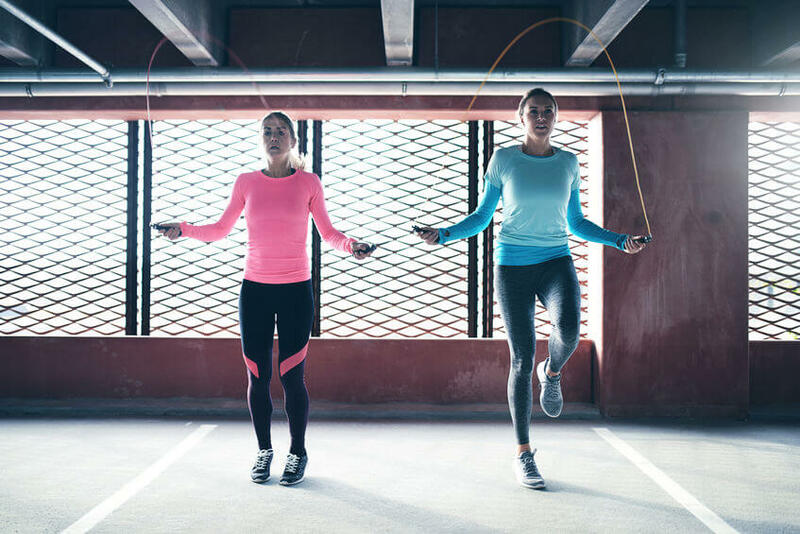 Dri-fit, Moisture-wicking, Cool Jade, UA Tech, hyderology, or whatever name it goes by, dry or moisture wicking technology is a must for CrossFit shirts for women. You will sweat, so you need material that will pull moisture away from your skin and dry quickly. Racer back tanks are, in my opinion, the best style for CrossFit. They keep you cool, the design from the back pulls the straps in and prevents them from slipping like they might with a bra or regular tank. As a woman with narrow sloping shoulders (at least before starting CrossFit) I had a problem with straps falling off my shoulders. Many women of CrossFit will tell you, racer back style is where it is at. Regular tanks are OK too, and some women prefer them because they cover more skin than a racer backs tank usually does. Racer backs are known for being low cut of showing a lot of back. Regular tanks can show a lot of skin, but they can also be cut modestly. Choose a style and cut you are comfortable with. Not a huge fan of short sleeves because sleeves can pull and tug when you have your arms over your head. 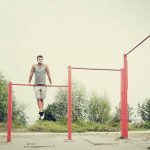 Think: Rope climb, pull-up, deadlift etc. Sleeves just get in the way. The only time I would recommend long sleeve is in cold weather, or if you want a compression shirt with full coverage. 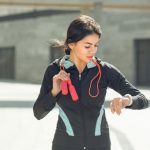 The full coverage of a long sleeve compression shirt can help reduce arm jiggle, whereas a tank will only help in the tummy and breast areas. They do have their place, but probably are not for most ladies everyday workout wear. I have a ton of favorite CrossFit apparel brands and many of them are small operations or mom and pop outfits. Here are a few – Rogue, Hylete, IamProjectX, Under Armor, Nike, Onzie, Rokfit and Reebok. Tri blend – usually a blend of Polyester, cotton and rayon is quite popular. This material is stretch and soft and can be washed a lot without wearing. Others like the feel of 100 percent cotton, and that’s cool too. Cotton is a natural material, but it will wear with washing and show off your sweat. Everyone has their own preference really. A racer back style is more cooling, but does not protect your back from the bench or floor if you are doing bench presses or sit-ups. Some like a cropped style because it lets a lot of air in and keeps you cool. Others do not like a crop style CrossFit shirt because it shows their midriff. If you plan on doing bench work or floor work, include a CrossFit tank with good back coverage in your lineup. 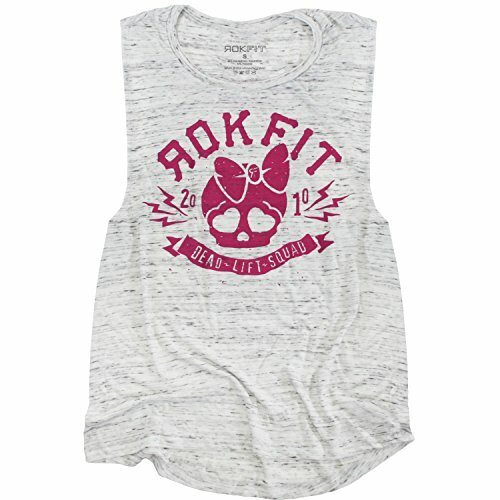 The Rockfit shirt is a good example of a shirt that has good back coverage. Depends, really. 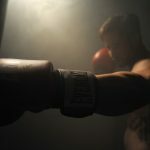 Some gyms and CrossFit Boxes have a policy that you back must be covered completely because they don’t want sweat and bare backs in contact with gym equipment like weight benches and such. 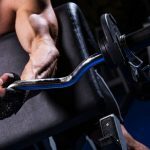 Maybe the policy is silly or bogus, but you have to respect the rules of the gym if you want to work out there. Some people find the sports bra too revealing, but that is a matter of opinion, in my opinion. I say do what you are comfortable with. I personally like to wear a tank over my sports bras, but I think it’s OK to wear just the sports bra alone and don’t have a problem with women doing that. 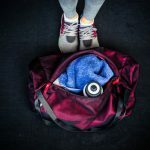 After all, you do work up quite a sweat working out and just the sports bra is a cooling option, so go for it if that’s what you like and your gym allows it. Review: This cute NIKE racer back tank comes in a huge variety of colors, has a great length and is cut for the curves of a woman. Polyester/spandex Dri-FIT fabric, to wick and dry. Flat sewn seams to avoid chafing. This snug fitting racer back tank will keep you stylish and cool during your WoD. Review: This Under Armour tank has a little extra length and coverage than the average tank. It has a wider back, quick drying fabric and wont slide up. UA Tech Moisture transfer system keeps you dry. Wide back racer back style for more coverage. Material can be slippery and slightly see thru if too tight or stretched. This tank has you covered, with an extra-long stay put torso. Review: The Compression Z Racer back tank is long and fitted, with ample back coverage, while still allowing full range of movement. Compression flattens tummy and adds security in the bra area. Some say it is too loose in the breast area if breasts are smaller. 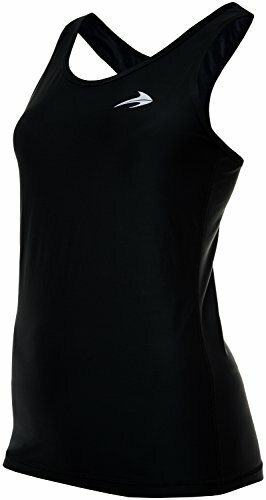 A great tank for bustier ladies because the compression keeps everything secure and the modest cut keeps everything covered. Review: This relaxed tank is roomy ad feminine, with a pretty twist at the back. Very light material, great piece to layer with a cute sports bra. Available in many subtle, conservative tones. This tank is great for days you don’t want a restrictive tank. It is more relaxed than most. Review: The Reebok women’s CrossFit tank is built with the Female CrossFit athlete in mind. Fits close to the body and moves with you. Can see bra because of cut, sports bra recommended. This dynamic tank embodies the CrossFit attitude and its body hugging design allows you to perform any WoD exercise. Review: This gently fitted top is cut to conform, but not constrict. It is long but not too long, and has a fit women love. Incorporated “Hydrology” Dry technology so you never have to let them see you sweat. Fits true to size and is flattering. No bra or extra support in that area, bra underneath necessary. 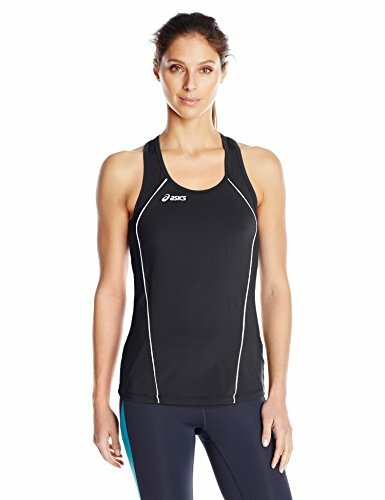 This Black racer back tank by Asics fits fantastically and looks great with curve flattering, slimming, white piping accent and a modest back. Review: This is THE top to show off your muscular back. It has a Band which of course reads “Just Do It”. The back is very open and allows a full range of the moment. The tank is roomy, not constructive. Fun “Just Do It” slogan. Be sure to wear a nice sports bra underneath, because everyone is going to see it, at least from the back. If you want to show of your back and biceps, this popular tank will deliver. Review: This sassy tank says “All Business” at the box. It is loose fitting, comfortable and will keep you dry. High cut in the front. Lose fit and flattering curved back hem. Arm holes are cut a little low, so you can see the side of the bra. 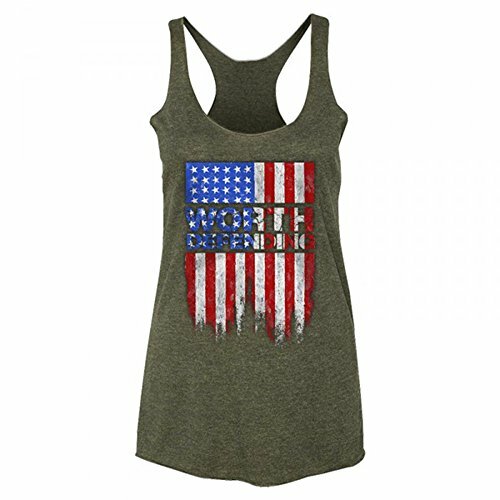 This tank is great for killing it at the box or lounging at home, it is comfortable, wicks away perspiration, and looks great. Review: This racer back tank by born Primitive is sure to be one of your go-to favorites. It is made from a super soft cotton Polyester blend which is comfortable stretchy and soft, as well as being really light weight. Soft blended cotton, rayon, polyester material. Ample arm holes for ease of movement. Attractive racer back cut style. 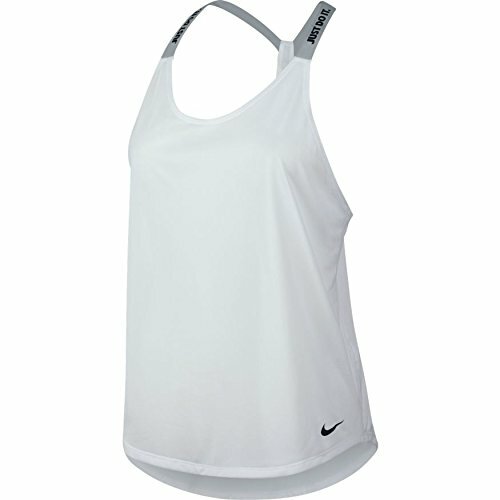 An attractive racer back tank with extra-long coverage. Review: This tank is made from really cute grey marbled fabric which is mostly polyester and a little cotton. The tank material is breathable and the cut offers a little more coverage than a racer back style, which is perfect if you are doing bench work or any exercise where you need to lie on your back. Extra coverage in the back. Large arm holes for easy movement. A soft, long, breathable CrossFit tank with good back coverage. Review: The Onzie nylon spandex tank is for women that want a snugger tank that moves with the body and fits closer to the body. This tank is also shorter than other CrossFit tanks, as it sits at the midriff. It has good back coverage and is cut high in front to keep you comfortable and not exposed. Spandex material fits close to the body. Shorter shirt, sits at navel level. Good back coverage and modest coverage in front. Shelf-bra incorporated into the tank. Not many color options available. A comfortable form fitting tank with built in shelf bra. Review: OK, maybe you have made a few bad decisions, and haven’t we all? But picking up this tank will not be one of them. This super cute CrossFit tank top for women is extra-long for good coverage, is really soft so it’s comfortable, and the arm hole size is not ginormous, like some tanks out there. Moderate size arm holes, not too big. Really long, good coverage behind. Picking up this Bad decisions shirt is the right decision to make! 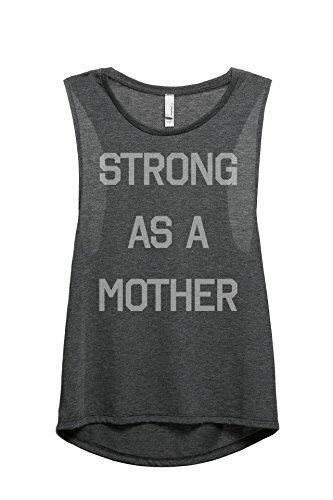 Review: This Strong as a Mother CrossFit tank is actually made with a thin, soft, stretchy material you will love against your skin. It also has a curved back hem to cover your back side a little better, but the arm holes are on the wide side so you may need a sports bra with this tank. Curved back hem for a little extra bum coverage. Fun Maxim “Strong as a Mother” on front. 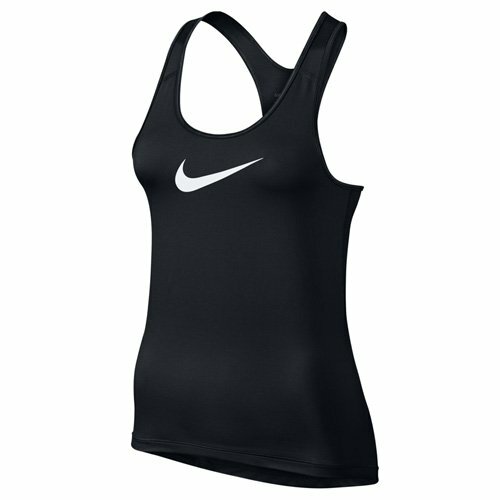 You will need a sports bra under it because the arm holes are wide. A super soft tank with good back-side coverage..
Review: This crop top by Jerkfit is sure to keep you cool as you lift heavy. It sits above the navel, but is a bit longer in back, in case you are doing bench work or need to lie on the floor, you back is covered. This provocative tank would pair great with a pair of WODies hand grips. Good back coverage, ok for bench and floor work. Cool crop tank is great for the CrossFit athlete who wants to show off hard a earned six pack. 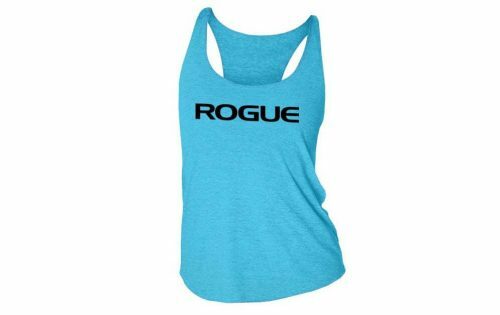 Review: The Rogue Basic tank is a top rated best seller for women who CrossFit – and with good reason. This Poly/Cotton/Rayon tank has a wide cut racer back style, is long enough to offer good coverage, comes in a ton of fun colors, and it’s made from recycled and organic materials. Washes well, won’t fade or peel. Good backside coverage, plenty long. 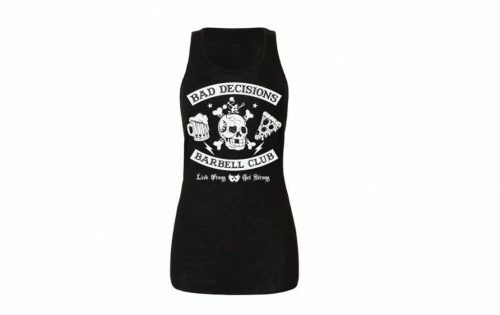 Your new go-to favorite CrossFit tank top – you won’t be disappointed! So, what are you waiting for? That wraps up our 15 CrossFit shirts for women, and we hope you find one that is right for you. Let us know in the comments if we missed YOUR favorite shirt; we are always looking for the next great find. Your subscription comes with exclusive access to guides and reviews not found on the website. Plus, we will notify you whenever we publish new news and gear reviews.